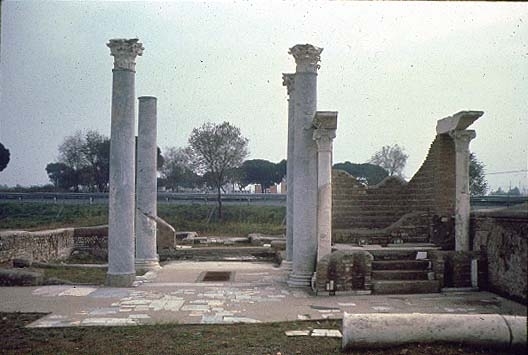 In spite of considerable epigraphic evidence brought to light over many centuries concerning ancient Jewish communities in Italy, the first material evidence of an ancient Italian synagogue structure was uncovered fairly recently at Ostia Antica, the Trajanic port of ancient Rome. 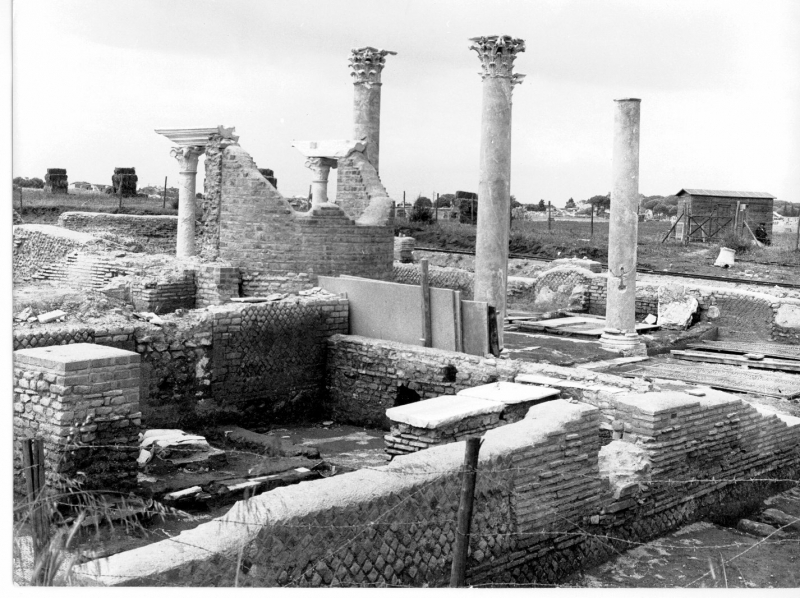 Around 1961, during construction work on a highway to the new airport at Fiumicino, the remains of a fourth century synagogue were found, built over earlier structural remains which used the opus reticulatum masonry technique common to the first and second centuries CE. The cosmopolitan nature of this bustling international port and its environs is strikingly evidenced by the offices of the Piazzale delle Corporazioni at Ostia Antica. 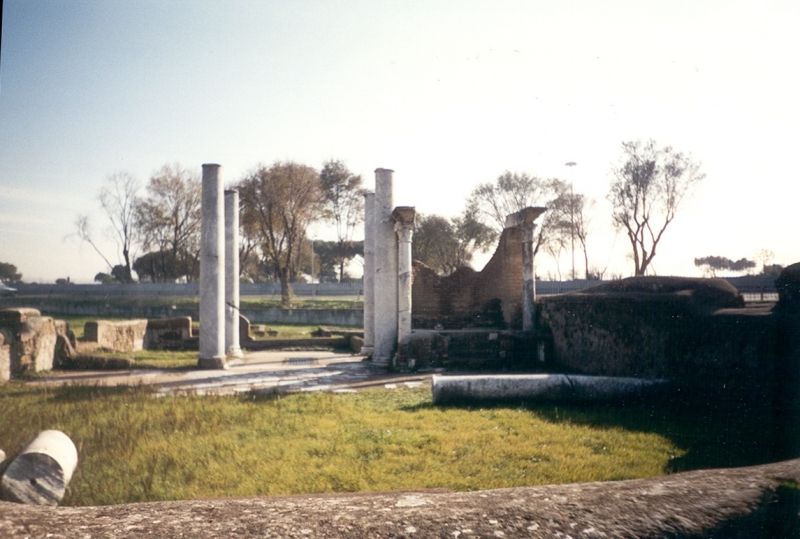 During the reign of the Emperor Augustus (27 BCE - 14 CE), an intense period of building was begun in Ostia, including the erection of a theatre with a large square behind it. Around this square are the ruins of around seventy offices that were once occupied by merchants from far-flung regions of the Roman Empire. Porticos in front of the offices shaded black and white mosaic pavements, many of which were decorated with emblems denoting the place of origin of the enterprises and sometimes suggesting the nature of the trade conducted on the premises. In one example, the inlaid figuration of an elephant represented a firm from Sabratha in modern Libya. 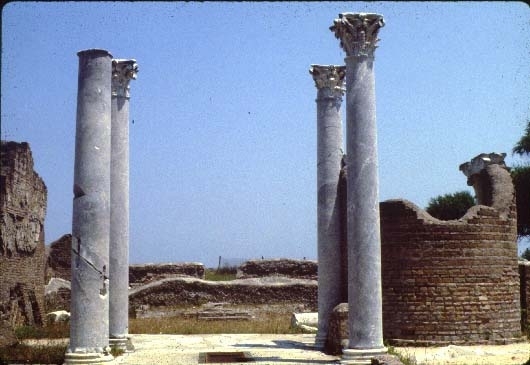 As the "bread basket" of imperial Rome, North Africa supplied grain for the annona distribution to the populace, as well as luxury goods, including ostrich feathers, ivory, gold dust, and animals for the Roman spectacles. 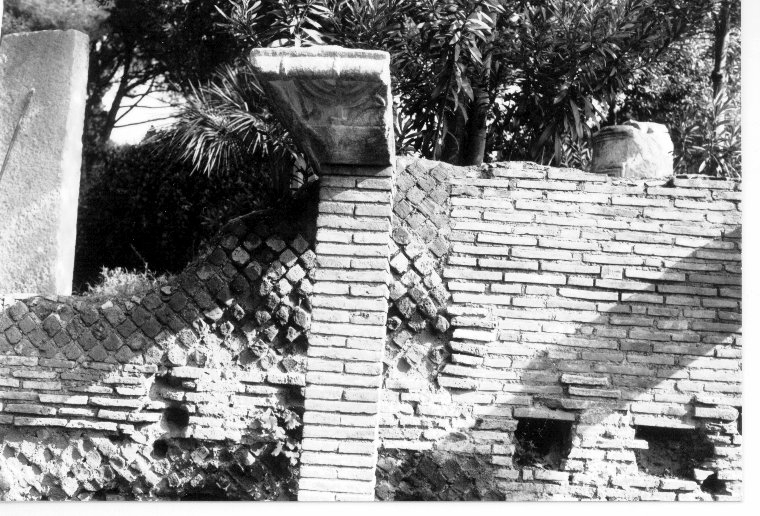 The traces of one or more thriving Jewish communities in or near Ostia Antica suggests that a number of Jews and early Christians in Rome were engaged in commerce, perhaps also accounting for some of the more elegant and costly tombstones, sarcophagi, and decorated funerary chambers encountered by excavators, although less frequently in the Jewish cemeteries of Rome than in those of Christians and other societies. 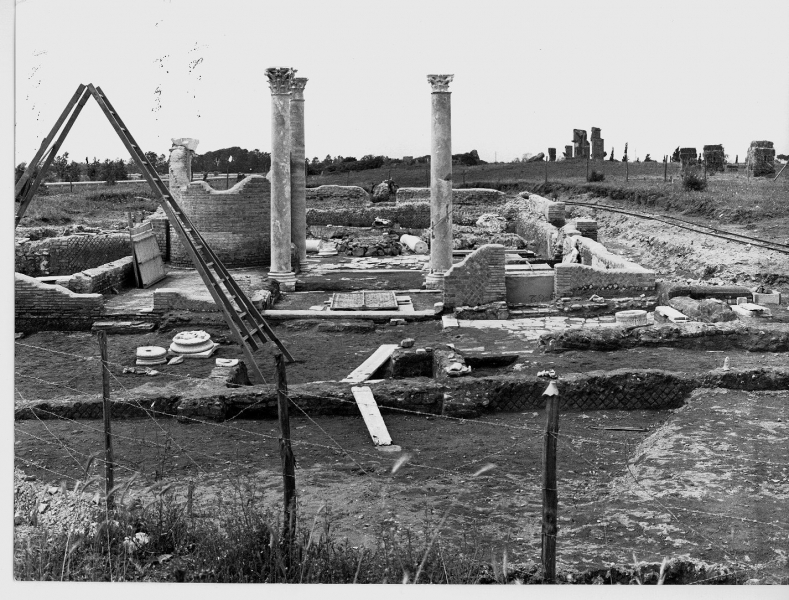 [i] M. Floriani Squarciapino, "The Synagogue at Ostia," Archaeology 16.3 (1963), pp. 194-203. Differences in the style of script on this inscription make it uncertain, however, whether Mindis Faustos was the original donor. [ii] Squarciapino, Archaeology, 16.3, p. 194, plan. 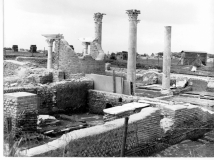 [iii] E. Lattanzi, "L'attivita' archeologica in Calabria nel 1985 in Neapolis," in Atti del 25 Convegno di Studi sulla Magna Grecia (Taranto 3-7 ottobre 1985), Taranto: L'arte tipografica, 1986, pp. 420-421. [iv] M. de' Spagnolis Conticello, “New Light on Women's Roles in the Ancient Synagogues of the Roman Empire”, ICS Varia (2018): http://www.catacombsociety.org/ics-varia/. [v] G B. de Rossi, Bullettino di Archeologia Cristiana, 4.3, p. 40. Inscription CIJ 1.533; JIWE 1.18, pp. 32-35, from Porto, is dated by Frey in the CIJ to the "first half of the second century". [vi] J-B. Frey, “Inscriptions juives inédites (1)," Rivista di Archeologia Cristiana, 8, nos. 1-2, pp. 83-90 and notes, but Leon disputed Frey's theories on the Jewish epitaphs and capitals in H. J. Leon, "The Jewish Community of Ancient Porto", Harvard Theological Review, 45.3 (1952), pp. 165-175). [vii] Frey, "Inscriptions juives inédites," p. 84. [viii] De Rossi, Bullettino di Archeologia Cristiana 4.3 (1884), pp. 50, 99-103. 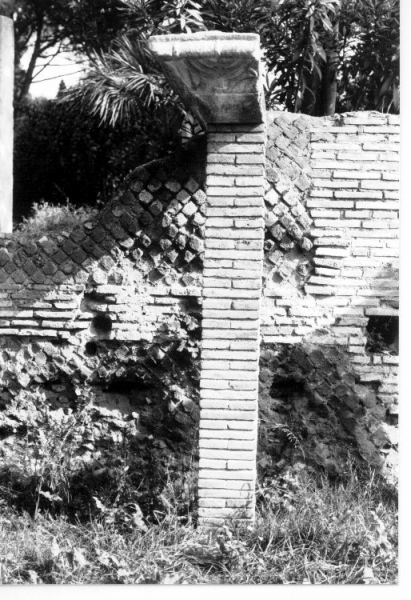 [ix] In succeeding decades, other specimens would be found: Frey, "Inscriptions juives inédites," p. 89, n. 1, describing this as the first artifact with Jewish markers documented in situ in Ostia. [x] JIWE 1.14, pp. 25-28, pl. 7; M. Floriani Squarciapino, "Plotius Fortunatus archisynagogos," in La Rassegna Mensile di Israele 36 (1970), pp. 183-191. Exterior of a synagogue building at Ostia Antica. Photo: DAI-Rom, inv. 62.929. 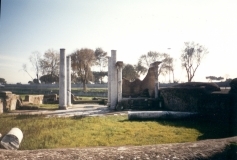 Photo of a synagogue building in Ostia Antica. Photo: DAI-ROM, n. 62-928. Detail of carving of Jewish ritual objects in an ancient synagogue in Ostia Antica near Rome. Photo: ESB/ICS. 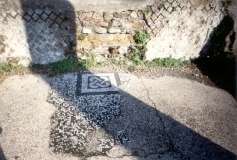 Ostia Antica synagogue site, with corbel carved with Jewish cult symbols. Photo: ESB/ICS. 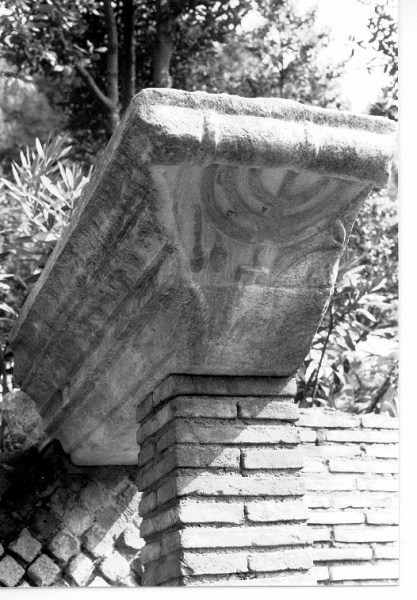 Ostia Antica synagogue site, corbel with carvings of Jewish cult symbols. Photo: ESB/ICS. 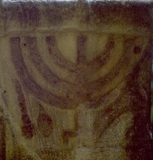 Ostia Antica, synagogue, corbel with Jewish cult motifs. Photo: ESB/ICS. 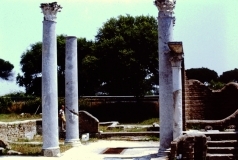 Ostia Antica architecture, grove of Egenia. Photo: ESB/ICS. 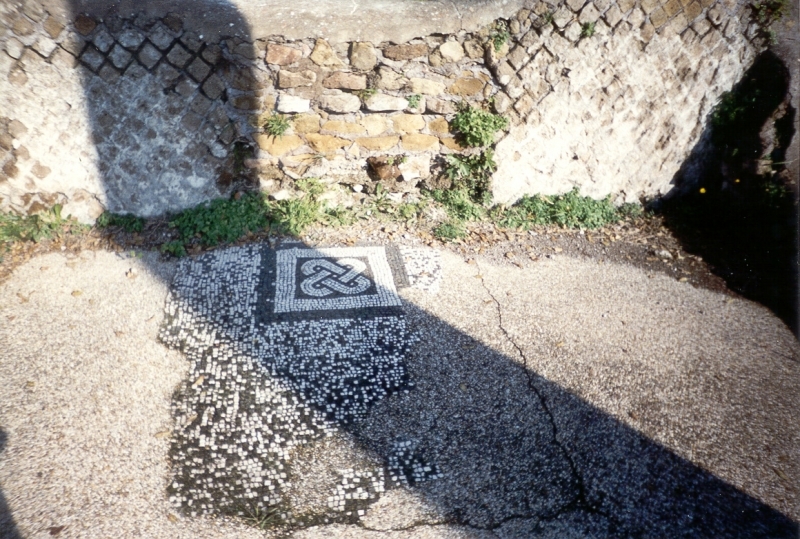 Ostia Antica, synagogue, pavement, mosaic, Solomon's knot.